Often the problem and the solution and very close to each other. We sometimes as organisational and business leaders, sense something is missing, or we long for something, yet, what? Why does something so simple seem so difficult, no matter what we try? This day is facilitated using the 4 quadrants lens for analysis of business issues and objectives. If you do not have the whole picture and all of the perspectives and dynamics of a problem or opportunity, it can be very challenging to make and take effective action toward results and issues. 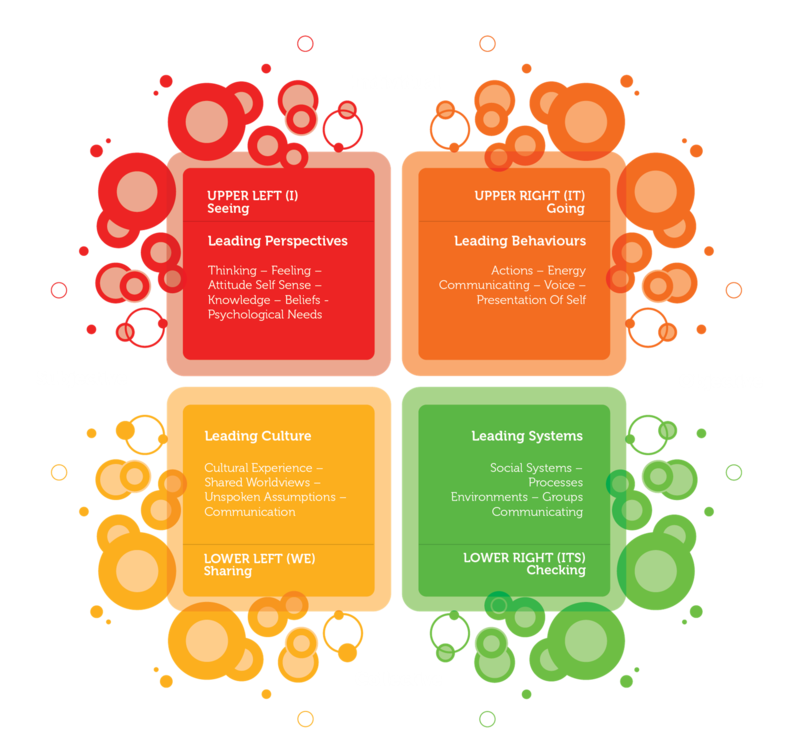 The 4 Quadrants is used to layer over these seemingly tricky and challenging business processes to provide greater and more general wisdom and outcomes. We look not only 'at' all the possible arising areas for analysis, but we also look 'as' the problem or opportunity from 'as' it, from the inside looking out. These 4 Quadrant processes awaken immense realisations and revelations for the individual, teams and organisational growth. Closing the day, using developmental action inquiry (DAI- Torbert) each Leader formulates several core intentions with strategies, behaviours and evaluation criteria, on realising and actioning the identified solutions and utilising the 4 Quadrants for the future for post-workshop engagement leading to understanding and leading a more Integrally Informed Business or Organisation. 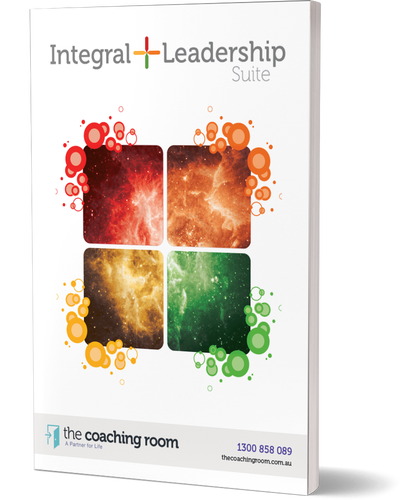 Leading an Integral Business is Day 5 of our Integral+Leadership™ suite. It is delivered In-house usually on the premises of the organisation engaging the program. This corporate Leadership training program can be scaled organisation wide both nationally and Internationally.